Jessica is a native Coloradan, born and raised in the small town of Nederland. Jessica’s interest in orthopedic and sports medicine was cultivated throughout her childhood and young adulthood as a competitive gymnast and soccer player. She was no stranger to injury and found herself in and out of physical therapy throughout her formative years. This exposure helped to pique her curiosity and ultimately led to her enrollment at the University of Colorado at Boulder where she received her B.S. in Integrative Physiology / Pre Medicine followed by earning her Doctorate of Physical Therapy at Clarkson University in New York. Jessica is passionate about maintaining a lifelong career of learning. She has set high standards for herself, having completed hundreds of continuing education hours by enrolling in multiple courses/conferences per year. Her Post-Doctorate course work has included evidenced based manual therapy techniques for the cervical, thoracic and lumbar spine, and extremities, shoulder and knee rehabilitation including the latest orthopedic surgical techniques being implemented, and rehabilitation for sports and running related injuries, including video gait analysis. 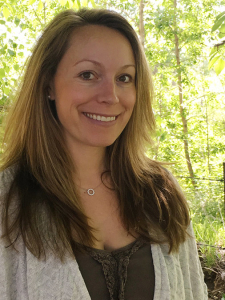 Jessica is certified through the Pilates Method Alliance as a rehabilitation and fitness based Pilates Instructor and utilizes her Pilates background to help clients with back pain and sports related injuries to safely and effectively re-build their core strength. Jessica uses her diverse background to look at the body as a whole. She breaks down the biomechanics of movement and gait patterns to address small limitations that may be impacting whole body movements. Addressing mobility limitations, creating stability and improving body mechanics and movement fluidity in order to return her patients to their functional and recreational or competitive levels is her passion! It is Jessica’s love of helping to care for, educate and empower others through health, wellness and rehabilitation that drives her desire to provide the best care possible. Her treatment style is patient centered, with a combination of hands on and exercise based approach techniques guided by evidence based practice. “Jessica is one of those marvelous individuals who can design and adjust a treatment program based on a particular client’s unique maladies. This ability is present in private sessions, but even in several-person reformer Pilates classes. Her skills are well developed in various PT related disciplines and she brings all these modalities to the table in addressing each client’s difficulties. And for some icing on the cake, she makes sessions and classes fun with just the right amount of humor and interpersonal sharing that we in the classes come to know her and one another. “I began seeing Jessica in the fall of 2013, after having injured my shoulder pulling luggage. My husband, daughter and I have been long-standing clients of Avanti Therapy and appreciate the personalized attention, tremendous hands-on manipulation and treatment, the thoughtfully prescribed exercises – as well as a 100% success rate! Jessica performed a combination of manual manipulation, massage, and laser and prescribed exercises that tauht me how to properly and safely engage my shoulder and surrounding muscles. We made quite a bit of progress, but it seemed that for every 2 steps forward, we took 1 step back and I continued to experience pain. Jessica suggested an MRI, which showed that I had a completely detached supraspinatus tendon – something that could not be healed with physical therapy alone. I went in for surgery in April 2014 and went back to Avanti for my post-surgery physical therapy. I truly believe that the combination of pre-surgery physical therapy, an excellent surgeon, and post-surgery physical therapy with Avanti Therapy helped me to have very minimal pain and to heal and recover beautifully. I was back to doing limited yoga within 3 months and within 7 months, back to doing full backbends! I can’t speak highly enough about Avanti Therapy!” —Laurie D.